Vaccine now available for deadly disease wiping out rabbits in B.C. The province says 50 veterinary clinics now have a vaccine to protect against a rapidly spreading virus that is killing rabbits on B.C. 's South Coast. The Ministry of Agriculture ordered the vaccine from a French manufacturer in March after the highly contagious and deadly rabbit haemorrhagic disease was detected in B.C. for the first time ever last month. 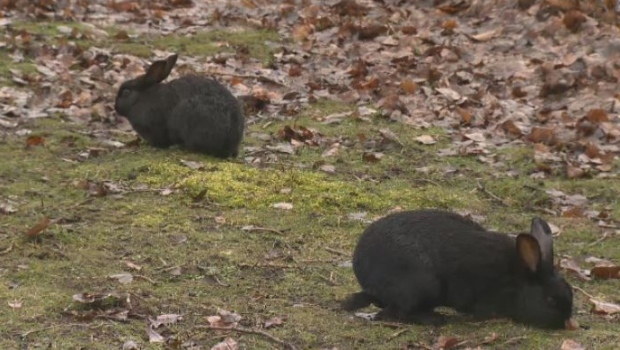 Since then, hundreds of feral rabbits have been found dead from the virus in Nanaimo, the Comox Valley, Delta and Richmond. The condition is caused by a calcivirus that causes blood vessels in the animals to suddenly rupture, and cannot infect humans or other animals. Pet rabbit owners are encouraged to contact their local vet clinic to obtain the vaccine. It is also being administered to all shelter and foster rabbits in the care of BC SCPA locations on Vancouver Island and the Lower Mainland. The first batch of vaccines amounts to 1,090 individual doses and 42 multi-dose vials, according to the BC SPCA. The second batch of vaccines is expected to arrive in B.C. in early May. Rabbit owners are also being advised not to move domestic rabbits into the wild at any time.